When Life knocks You Down, Get Right Back Up, Brush Your Shoulders Off and Proceed! 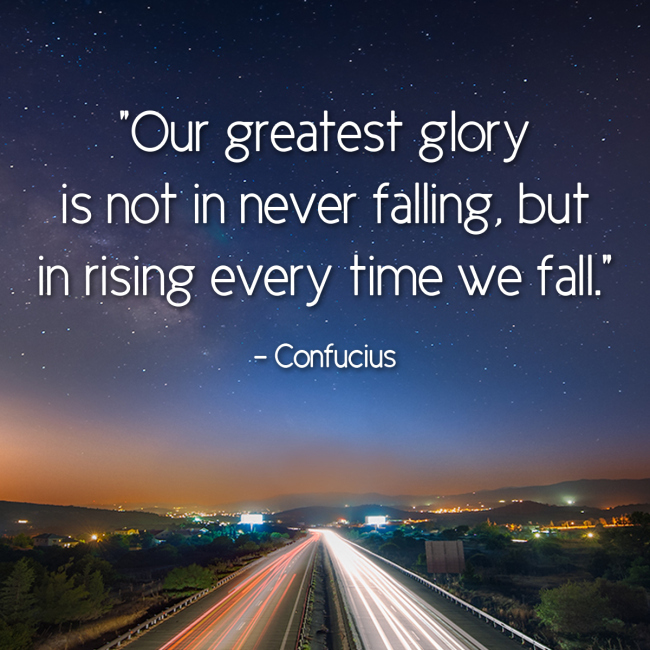 We all get knocked down and trampled over like some traffic cone in driving class, and we all have a hard time getting back up from time to time. The idea of prevailing seems to be a clich’e but it is an idea worth repeating over and over again. We all know the concept, but somehow it gets forgotten. I know this happens to me from time to time, some dreadful event will occur and I will dwell in it for far too long. Again, this happens to us all. It makes us who we are, it gives us the ability to strengthen ourselves.